If you’ve been searching high and low for the ultimate resource for video game bundles, limited time only deals, and dramatically discount prices on all your favorite PC games, you’ve come to the right place! 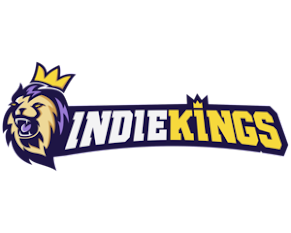 We here at Indie Kings work our tail off to bring to you the best bundles, the latest deals, and the inside scoop about how to save as much money as possible on video games, giving you the opportunity to spend more time playing and less time emptying out your bank account! We cover every kind of game imaginable! Unlike a lot of gaming sites out there that cater only to one type of game or another (FPS vs RPG titles, for example), that’s not something that you’re ever going to have to worry about here at Indie Kings. Each and every one of our “inside video game investigators” and deal hunters are going to comb the Internet, tap into every one of their resources, and find for you the best deals on video games across all genres. PC games are going to always have the chance to find out about the latest deals on Steam, hidden bundle offers from developers (that won’t be announced too terribly many other places), and insider information about upcoming games before anyone else gets wind of them! We make sure that we keep our ear to the ground to hunt out and locate the best prices on the hottest games, and that you never miss an opportunity to save! Because we spend so much of our time searching for the best deals on video games, combing all corners of the web to make sure that you save a bundle on these bundles, we come across all kinds of rumors, stories, and advanced notification about upcoming titles and details that the majority of the gaming community aren’t ever going to stumble across. We bring all of that inside information to you – right here on our page (and sometimes on our social media accounts) – so that you are kept very much in the loop. So if you want to know more about that blockbuster AAA title that nobody seems to have any dirt on, find out about the latest independent titles that are really starting to make waves, or just want to learn a little bit more about how the video game development community works “under the surface”, you’ve come to the right place.